Grenada is among countries represented at the 12th annual Caribbean Week of Agriculture (CWA) now underway in Georgetown, Guyana. Caribbean Week of Agriculture is the premier agricultural event on the Region’s calendar, in which stakeholders come together to promote agriculture and the agri-industry, via policy dialoguing, learning sessions, and an exhibition showcasing the fruits of the sector. On Tuesday, Agriculture Minster Hon. Roland Bhola left Grenada to join members of his technical team for the activities coinciding with this year’s event. Prior to his departure the Minister told the Government Information Services (GIS) that while in Guyana he will seek to establish bilateral relations with other organisations and countries for the benefit of Grenada’s Agriculture. Bhola said he and his team hope to learn from the experience and take the best practices for implementation and integration into some of their existing programs. The Agriculture Minister said the (CWA) will also serve as a launch pad for the 2013 World Food Day activities which will be held on October 8, 2013. Meanwhile Guyana’s Minister for Agriculture Dr. Leslie Ramsammy has expressed optimism that this year’s event will not only be bigger but better. 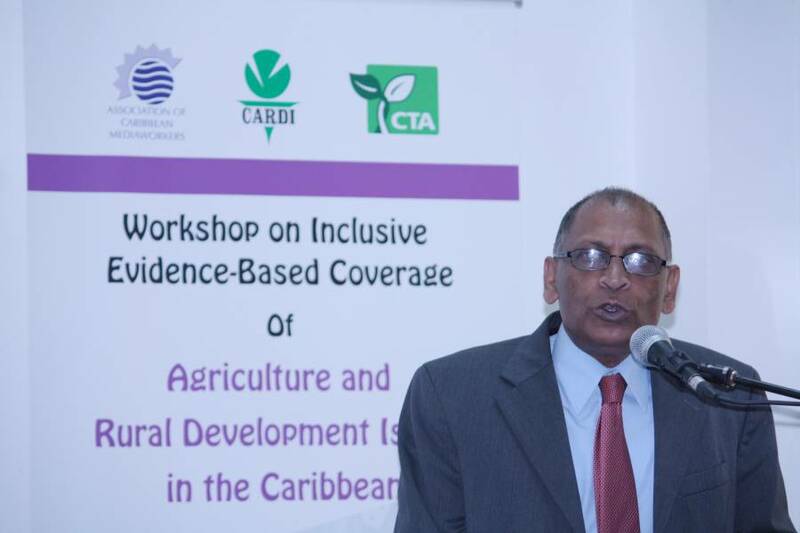 Ramsammy said this 12th (CWA) will begin the transformation of (CWA) into the Caribbean’s premiere technical meeting for agriculture. All relevant stakeholders will see, experience and learn about what’s happening and new trajectories for agriculture sector. CWA-2013 is being observed under the theme: “Linking the Caribbean for Regional Food and Nutrition Security and Rural Development”.